Treat your tresses to the Aveda Shampure Nurturing Shampoo, a moisturising formula created with 25 pure flower and plant essences. The lightweight yet powerful cleanser gently lifts away dirt, excess oil and impurities whilst replenishing intense hydration to maintain a healthy scalp and hair environment. Abyssinian Oil smooths each strand for a sleek and polished finish. 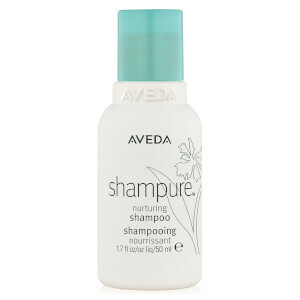 Massage Aveda Shampure Nurturing Shampoo onto your wet hair. Lather. Rinse thoroughly. Follow with Conditioner. Water\Aqua\Eau, Ammonium Lauryl Sulfate, Cocamide Mipa, Propanediol, Babassuamidopropyl Betaine, Crambe Abyssinica (Abyssinian) Seed Oil, Bixa Orellana (Annatto) Seed Extract, Glycerin, PEG-60 Almond Glycerides, Polysorbate 80, Polyquaternium-10, Sodium Chloride, Citric Acid, Fragrance (Parfum), Linalool, Geraniol, Citronellol, Benzyl Benzoate, Limonene, Sodium Phytate, Benzoic Acid, Phenoxyethanol, Potassium Sorbate, Sodium Benzoate, Annatto (CI 75120) <ILN45473>. 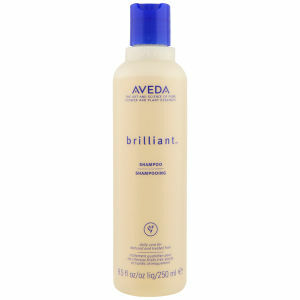 I love Aveda products I was using the cherry almond shampoo/conditioner and decided to go for a change. Well big mistake the shampoo left a kind of film on my hair that made it look greasy and had a weird feel to it. I went to the hairdressers the next day and she agreed with me, apparently the formula has been changed!